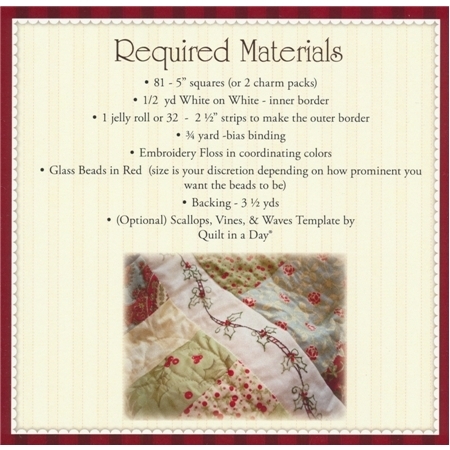 The Holiday Charm pattern shows you how to make this 54.5" Christmas quilt. This fun and easy table topper features an inner border of sweet hand embroidery and red glass bead accents. The piano key scalloped border is finished with a bias cut red/white striped fabric for a fun Candy Cane effect. A Shabby Fabrics exclusive design.